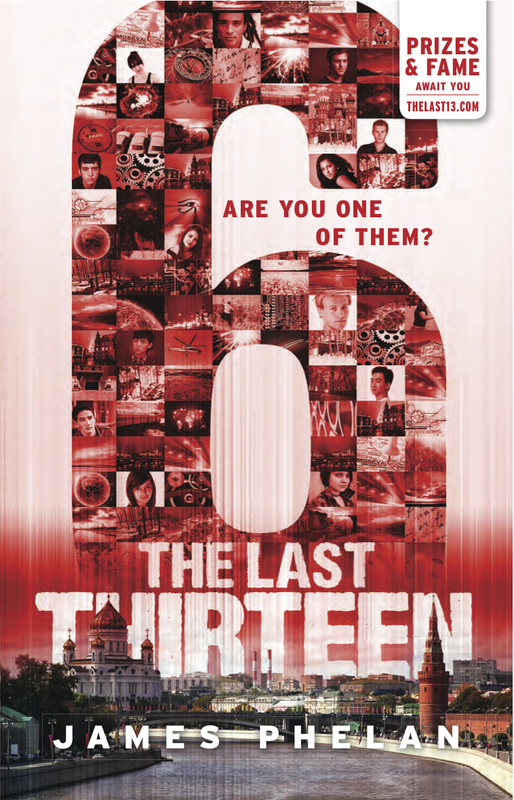 THE LAST THIRTEEN is a 13-part serialised thriller series for young readers (aimed at ages 8-15) and counts down from 13 to 1... this book, "6", is the 8th book in the series. I don’t know what’s real and what’s not anymore. From the Kremlin in Moscow to the wilds of Siberia, Sam is involved in a race-within-the-race with an old adversary who has discovered a sinister way of staying one step ahead. The more Sam and his friends dream, the less they will remember . . .
Sirens wailed as flashing emergency lights strobed overhead. Sam ran out of the control room into the corridor of the underground complex. There he saw the trail of destruction Solaris had left in his wake. Among the huge chunks of concrete that littered the ground, Sam saw several Marines sprawled on the floor, their bodies at jarring angles. Closest to the door, Mac was slumped over, motionless, his hand still clutching his chest. Is he out cold? Or is he . . ? Sam put his fingers to Mac’s neck. No pulse. He struggled to latch onto one emotion as conflicting thoughts ran through his mind. Mac deserved this end, but still . . .
‘T-minus five minutes until detonation.’ ‘Sam!’ a voice called out. Sam could just make out Cody at the other end of the long corridor, staggering forward with his parents. Despite the smoke haze, their faces were clearly etched with shock and fear. Cody pointed meaningfully towards the outside wall and then waved at Sam, gesturing for him to look at the wall where he stood. He shouted something but Sam couldn’t make it out. Sam turned to see a line of doors next to him. He looked back to Cody and his parents and saw that the light next to their door was green. An escape pod must still be in there, ready to go . . .
Cody hesitated for a moment, then gave a quick nod and hurriedly followed his parents through the open doorway. Sam scanned the corridor. The sirens echoed through the deserted complex. All security personnel had disappeared what seemed like a long time ago, even though only minutes had ticked by. All the doors close to him showed red lights. If he squinted to see down the still-smoky hallway in the other direction, he could just make out a few tiny green lights in the distance. Sam went to sprint towards them but suddenly felt a tight grip around his arm. Sam jumped. He slowly turned back to look at Solaris, fear rising in his throat. I thought he’d gone, left me for dead. Sam stood straighter to counter his fear. ‘To go where?’ he said. Solaris paused, evaluating Sam for a moment. A chunk of rubble near Sam’s feet tumbled further down a pile of blasted concrete. Sparks spat erratically from where live electrical cables dangled from the ceiling. Without answering, Solaris started to walk down the corridor, dragging Sam behind him. They navigated around the shattered slabs of concrete towards the green lights indicating the available escape pods, until they reached a tall mound of collapsed wall, the site of the main explosive impact, which blocked the corridor. ‘You first!’ Solaris said, pushing Sam ahead of him to climb over the obstruction. Sam shook off Solaris’ grip and started to slowly crawl up and over the pile. Pieces of concrete and debris shifted and slid under him as he tried to make his way over. A live wire sparked and hissed near his face as he made it to the other side. ‘Stop!’ Solaris commanded, raising his weapon to reinforce the command. Then, as Solaris scaled the rubble with little effort, time seemed to stand still for a few seconds as Sam ran through his options. Sam looked down at his rubber shoes, then back at Solaris, fully clad in his metal body armour, covered in high-tech weapons circuitry. On connecting with Solaris, a bright blue spark arced in the air and ran up Sam’s hand and arm. He was sent flying backwards with such force that he slammed into the wall several metres away. Sam scrambled up, trying to move as fast as he could despite being dazed and unsteady on his feet. He looked at Solaris, who had been sent flying even further in the opposite direction back up the corridor. There was now a sizable distance between them. Sam could see the shimmering black form of Solaris slowly starting to rise . . .
Sam saw another door with a green light. He hit the door release. Inside was a cylindrical-shaped pod, with a bench seat running around the inside. He stepped into the small space, feeling as though he were inside a missile. Panicked, knowing Solaris would be at the door in a matter of moments, Sam punched in the first four numbers that came into his head: 1 3 1 3. Sam tried again with a set of random numbers. C’mon! Please work! button and pressed it. Numbers began counting down from ten. As he watched the digits flick by on the screen, he strapped into a four-point harness fastened to the pod wall, his still-shaking hands making him fumble as he did up the clips. Got no idea where I’m going, but anywhere is better than here. The noise of the launch was deafening. Sam put his hands over his ears as the escape rockets ignited and the pod shot upwards with great speed. There were no windows so Sam had no idea what was happening outside. All he could make out was the immense noise and the feeling of motion as he was pushed down into his seat. Sam counted the seconds from launch, while trying to remember back to another of Tobias’ science classes where they had watched a space rocket launch. How many kilometres per second was it that they travelled? He could hear Tobias talking about angles and direction and velocity in his head . . . Inside the windowless rocket, he kept counting the seconds but then gave up. It was impossible to tell how fast or how far he was travelling. mid-air, where he felt weightless. packs separating from the body of the escape capsule. For the first time the thought of landing entered his mind. How does this thing touch down? And how will anyone ever find me when it does? He felt the jolt of arrested motion as what must have been parachutes were deployed. Immediately, the free-falling descent slowed. Sam relaxed a little back into his seat. He closed his eyes and tried to breathe steadily again. Nothing to do now but wait . . .